Bay leaf is one ingredient you’ll probably grow closely acquainted with while taking culinary courses online. You’ll often be instructed to add these green herbs during the cooking process and remove them before serving. You may find yourself wondering why you throw them in at all if they won’t be a part of the final dish. Wonder no more. Here is everything you need to know about bay leaves and how to use them in your cooking. Before it cooks for a while, a bay leaf does not seem particularly appetizing. It’s stiff, has pointed edges, and even after a few minutes over heat the flavor remains harsh. However, as Serious Eats explained, over time the menthol-like characteristics fall away, allowing subtle fragrances to make their presence known. Bay leaves may not be the star of your dish, but they can play a significant supporting role. Dried leaves are more commonly found in kitchens than fresh since they tend to have a milder taste and keep those flavors for a couple months in the spice cabinet – even longer if stored in the freezer. 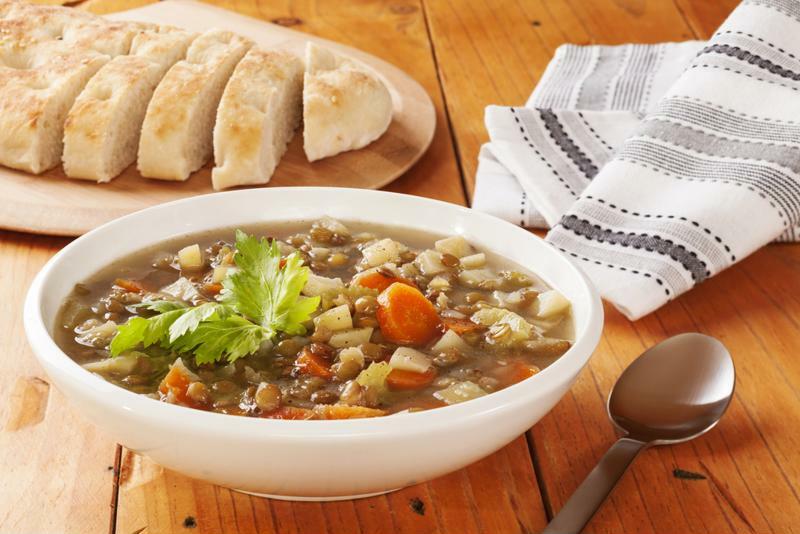 Bay leaf is a pleasantly aromatic addition to lentil soup. Bay leaves are commonly used in soups and stews, which allow the time to unlock the herb’s pleasant aromas. For example, The Kitchn included a leaf in directions for a red lentil soup. It goes into the broth along with the lentils and sauteed vegetables. After about 20 minutes of simmering, the lentils grow tender and the leaf makes its contribution to the flavor profile. A chicken stew recipe provided by Giada de Laurentiis made similar use of the herb. In this dish, you stir the bay leaf into sauteed onion, carrot and celery along with chicken broth, canned tomatoes, basil, thyme and tomato paste. Then, immerse the chicken breast in this mixture to cook for 25 minutes. Take out the chicken and the leaf before throwing in kidney beans as the liquid reduces. Bay leaf can also bring appealing notes to the broth for a risotto. Inspired Taste recommended incorporating the herb into a version highlighted by mushrooms. Cook the leaf in chicken stock with mushroom stems, thyme and soy sauce for half an hour. Then, strain the broth. Gradually add the tasty liquid as you slowly cook the rice. Bay leaves make a subtle contribution that requires time to reveal itself. That’s just all the more reason for students in online cooking school to appreciate this herb and learn how to incorporate it into their dishes.